Think back to your last year end event. What do you remember about it? Perhaps the venue – vaguely – or Jim from Accounting doing Gangnam Style on the dance floor. Maybe you recall the Facebook photos… or perhaps you don’t remember much at all, because it wasn’t all that memorable. Is this really the kind of year end event you want to throw? No? Then you should give your staff or clients something they’ll never forget. Give them FMX, and you’ll forever be the boss of corporate entertainment ideas. So, what is FMX and why is it one of the best corporate entertainment ideas ever? 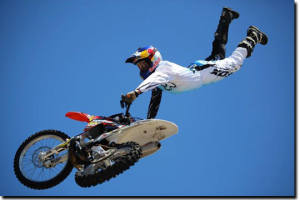 Basically, freestyle motocross shows (FMX) are a series of mind-boggling bike stunts carried out mid-air by motocross racers – hugely talented stuntmen who pull off insane tricks and stunts all on the back of a motorbike. 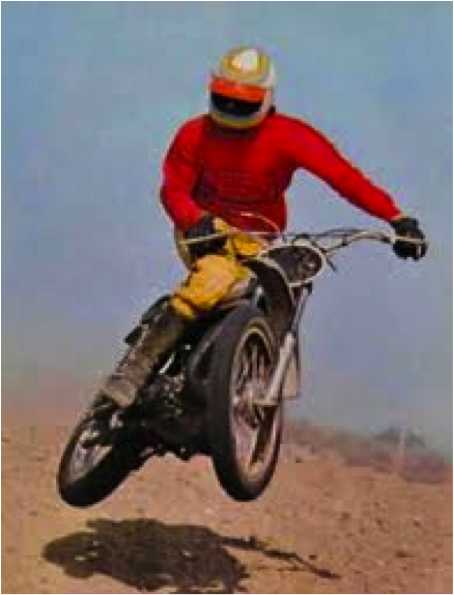 FMX started pretty small with racers doing dirt jumps or small tricks like throwing the bike sideways and taking their hands and feet off the bike. But then things got a little crazier and the sport evolved into something a lot more extreme: Special purpose-built steel ramps started to be built specifically for FMX, and unsurprisingly the sport started to soar in popularity. Spectators soon saw how amazingly cool it was to watch a bunch of guys pull off death-defying stunts mid-air, up to 10m off the ground, and they couldn’t get enough! 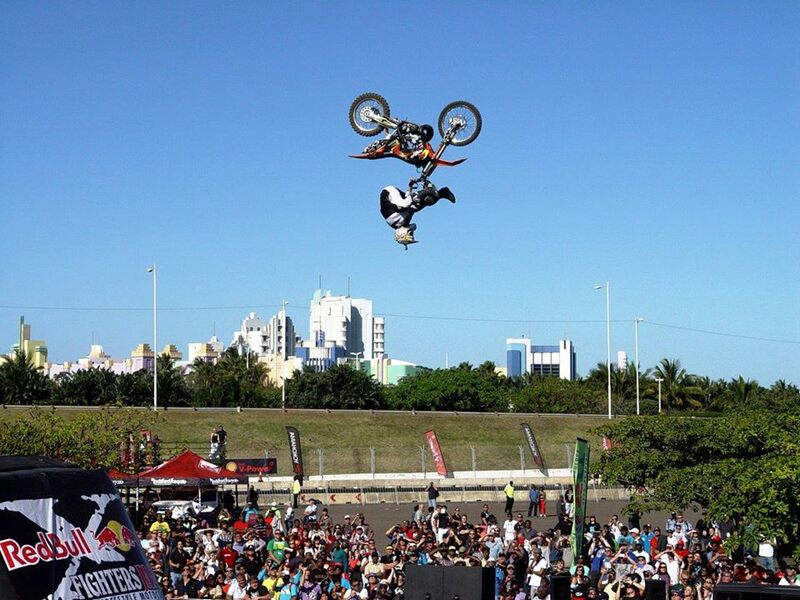 FMX has now moved into more mainstream venues, and nowadays it’s a huge draw card at events around the world. It works perfectly as a stand-alone event or as an addition to other sporting or recreational events, and yes, it can even be the main attraction at a corporate or year end function. 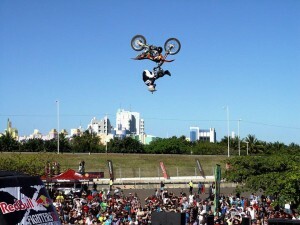 The great thing about an FMX show is that it can be made to match the size of any venue or function. So a show can range from one rider performing for a smaller audience to 15 riders competing for a world title or thrilling a huge audience. If you’ve seen the big piles of dirt that these guys used to ride in, forget all that. Today, we use custom-built mobile landings that are set up and broken down in a matter of minutes, so it’s highly professional and dust-free. It also means that FMX shows are a lot more versatile and can be performed at events that normally wouldn’t be able to accommodate a dirt landing (also making it more affordable). With bikes flying 10 meters in the air, riders pulling off amazing tricks and spectators staring with their jaws dropped, trust us, no one’s going to forget your event. Check out the details of our Extreme FMX Shows on our site or give us a call on +27 83 333 1441.